OPERATION HOMELESS VETERAN is a long-term housing mission run by New Beginnings Incorporation: New Beginnings Transitional Services. 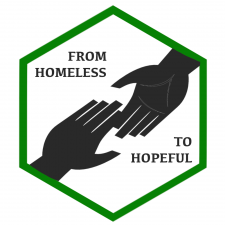 We are a nonprofit organization founded in 2009 with a mission to end the cycle of homelessness in the Military Community. The 2016 HUD Point-in-Time statistics report 40,000 veterans were experiencing homelessness nationwide. We are rebuilding the lives of military veterans impacted by homelessness, substance abuse, and incarceration. Investing in this housing project will help us purchase an apartment complex in Los Angeles County, California to house homeless veteran families and families of active duty service members who are displaced. Visit our website to learn what's at the heart of our great cause, https://www.newbeginningsincorporation.org/what-we-do. Team up with us and DONATE today! With more than 40,000 homeless veterans nationwide, we are failing our military veterans. Many suffer with substance abuse and PTSD. Spread the word to your family and friends and support Operation Homeless Veteran. A $5.00 donation from 50 people in 30 days will help us moved to the next step in this campaign. Thank you for your support.